Self-defense is one of our system’s specialties. White Tiger Kung Fu is a traditional martial art that is designed for much more than simulated fighting environments (IE: competitions, MMA, etc.). Most importantly, it is designed to be incredibly effective in real life, practical applications (IE: what actually happens in a fight or attack in the real world). 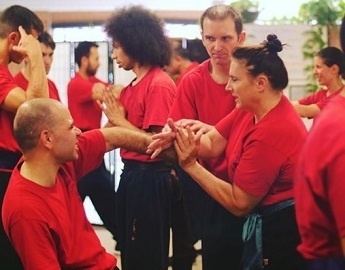 Self-defense is incorporated into every class, and our instructors at our headquarters in Miramar always explain it in a simple, precise, and effective manner. The trainers are passionate and dedicated, and they always teach in a manner that is easy to understand. 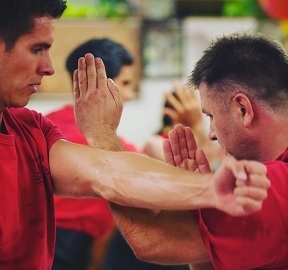 Through the combination of teaching direct self-defense techniques plus our hand forms, weapons forms, workouts, and meditations; our entire system is designed to increase your situational awareness and ensure you are 100% confident that you can protect yourself and your loved ones in pretty much any imaginable scenario. 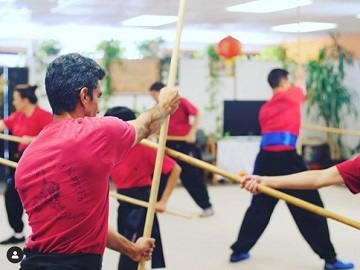 Whether you want to grow your confidence, learn how to defend yourself, or improve and grow as a person (physically, mentally, emotionally, and spiritually); White Tiger Kung Fu has exactly what you’re looking for in your journey in martial arts and your overall life.